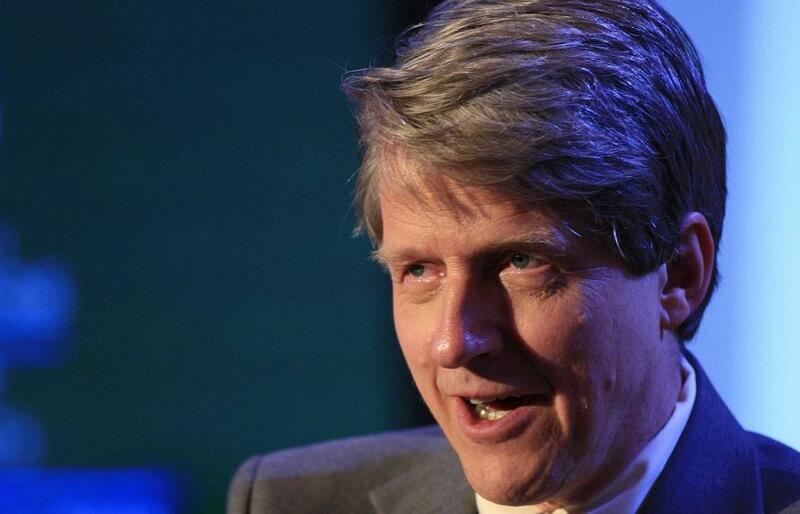 Shiller: "If Trump Loses Tonight, It Could Launch A Period Of Chaos"
Nobel Price-winning economist Robert Shiller has been busy in the past 24 hours: one day after the famed housing-bubble watcher told Yahoo Finance that the weakening US housing market is similar to the last market high, just before the subprime housing bubble burst a decade ago, Shiller spoke at a London conference on quantitative tightening, warning that the market is vulnerable to another bout of declines as tonight's midterm elections challenge the U.S. president’s pro-growth posture. "It’s an election day now and it’s about one man: Donald J. Trump," Shiller said, clarifying that "it’s not technically about him but in our minds, they are about him because the narrative has gotten so strong. It’s contagious." What is odd about Shiller's gloomy forecast is that analyst consensus has been generally sanguine about both the outcome of tonight's election as has the market, with the CBOE Skew index printing near 2.5 year lows and stocks well in the green; yet for the Nobel laureate deeper divisions would be a destabilizing force for markets. "If Trump loses, if his supporters lose, that could launch a period of chaos," Shiller told the audience. "I do sense that the past volatility just before the election had something to do with a feeling of chaos. Trump said he might shoot at the Mexican caravan and then he took it back. It’s just wild. It doesn’t feel comfortable." As discussed previously, pollsters project a Democrat-controlled House and a Republican-led Senate, a scenario that would lead to legislative gridlock, and would have little impact on stocks. But Shiller disagrees: "The narrative is Donald J. Trump, tax cutter, regulation cutter. It looks plausible so the market goes all the way up with earnings, but these things are temporary but the market doesn’t seem to get that." Hardly a permabear, Shiller, who is best known for his analysis of asset bubbles, has been casting doubt on the sustainability of a record-long bull market which is already flagging, after stocks tumbled 7.4% in October, the most in six years. However, to Shiller even with the recent near-correction, valuations are not high enough to cushion the latent political risk. As Bloomberg notes, the cyclically adjusted price-to-earnings, or CAPE ratio developed by Shiller three decades ago sits at 31x earnings, far above its historical average (if well below its all time high of 44x before the dot-com crash). "We’re in a funny mood of fear and chaos at the moment which is a narrative that makes stock markets more vulnerable right now, whichever way the election comes out,” he said.